Illinois Tech President Alan W. Cramb spent much of fall 2017 and January 2018 on the road, meeting with alumni around the country to share news about the university and strategic initiatives. During a November trip to Seattle, he met with alumni who graduated 50 or more years ago, but who were unable to attend their Golden Society Reunions. Cramb presented each of them with Golden Society medallions during a luncheon. 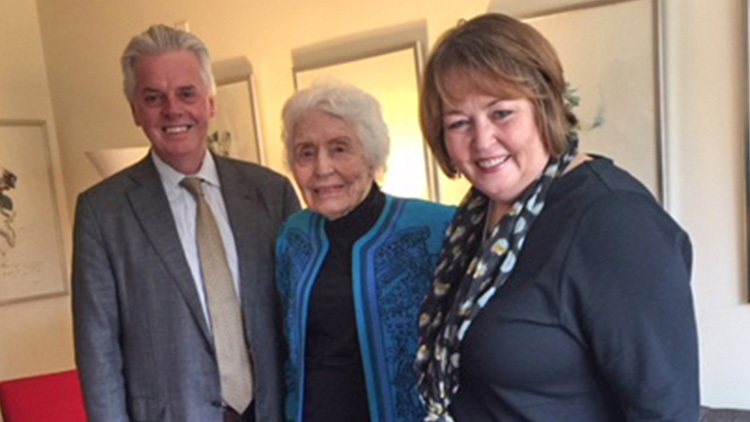 Cramb [left], Mary Elizabeth Droste (ARCH ’42) [center], and Vice President for Institutional Advancement Betsy Hughes [right] visited at Droste’s home in Walpole, Maryland (October 2017). 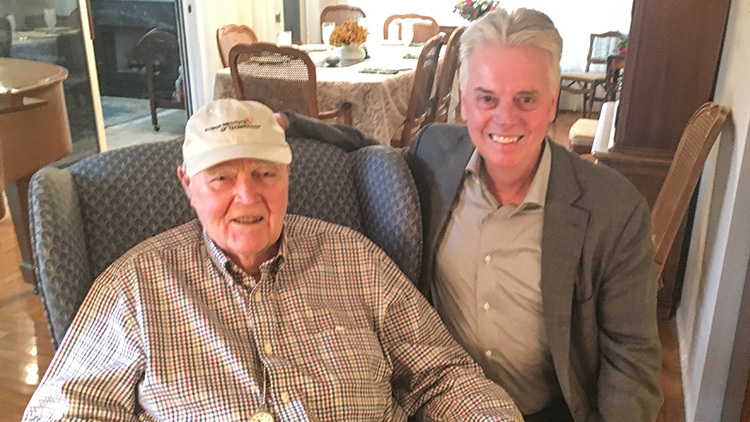 Trustee Emeritus Bill McCain (MC ’53) [left] and Cramb met in Savannah, Georgia (November 2017). 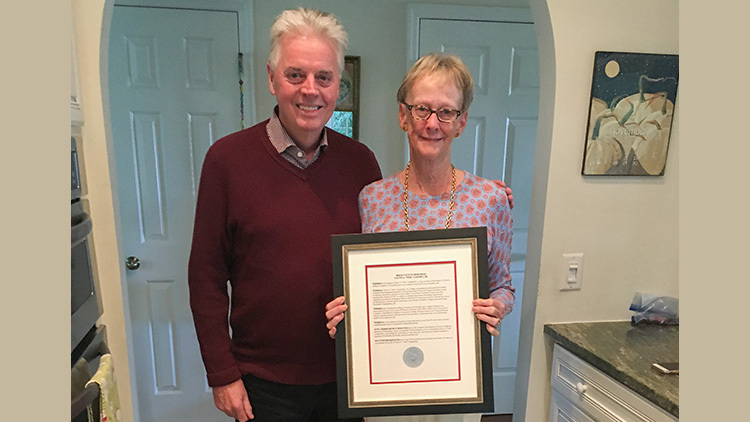 Cramb [left] with Paula Campbell, widow of the late trustee Calvin “Tink” Campbell Jr., who accepted a resolution in memoriam on her husband's behalf at Saint Helena Island, South Carolina (November 2017). 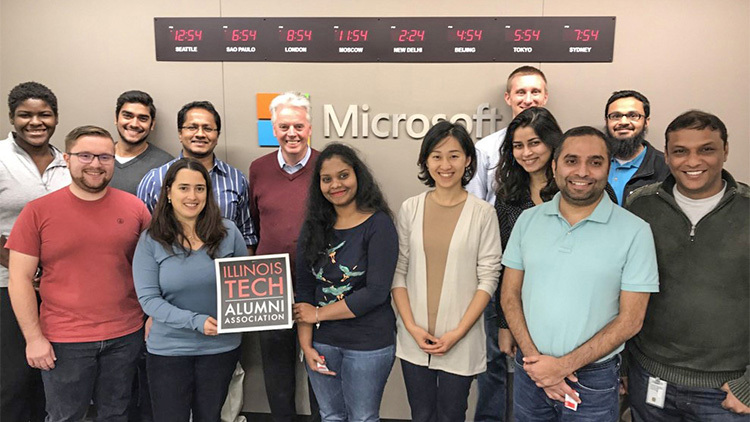 During his Seattle trip, Cramb [back center] conversed with a group of Illinois Tech alumni who work at Microsoft (November 2017). 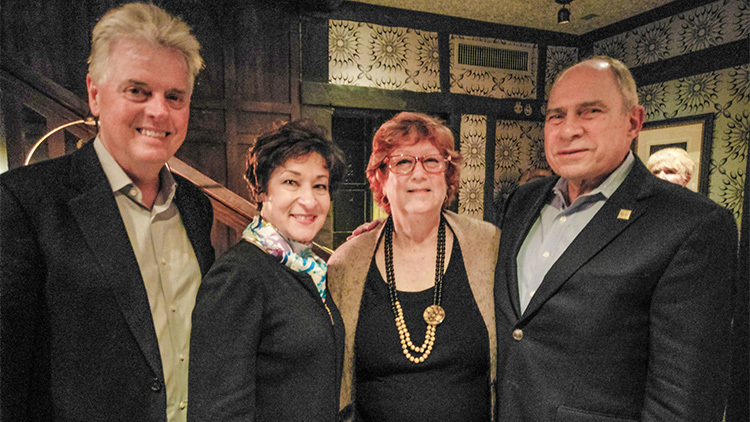 Cramb [left] and his wife, Anna, took time out for a photo with Ken Petrulis (PHYS ’67) [right] and his wife, Dale [right center], in Corona Del Mar, California (January 2018).